Matt and Scott were among six students on our "Science Crime Busters" team for Science Olympiad. Susan and I were coaches for the crime busters for the second year in a row. 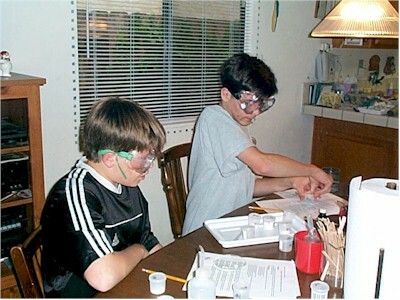 The kids learned chemistry techniques, including chromatography, pH, solubility, and reactions with acid and iodine, to solve a problem from a crime scene. Want to see more? Click on the photo.